Mineral classification can be an organizational nightmare. With over 3,000 different types of minerals a system is needed to make sense of them all. Mineralogists group minerals into families based on their chemical composition. There are different grouping systems in use but the Dana system is the most commonly used. This system was devised by Professor James Dana of Yale University way back in 1848. The Dana system divides minerals into eight basic classes. 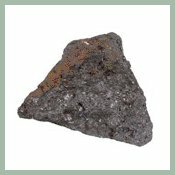 The classes are: native elements, silicates, oxides, sulfides, sulfates, halides, carbonates, phosphates, and mineraloids. The chart below has pictures and descriptions of each class with a link to more examples and details. It is hard to believe that all of the minerals on earth fit into one of these 8 classes but it is true. Native Elements This is the category of the pure. Most minerals are made up of combinations of chemical elements. 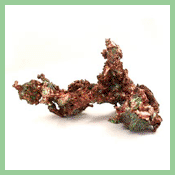 In this group a single element like the copper shown here are found in a naturally pure form. Silicates This is the largest group of minerals. Silicates are made from metals combined with silicon and oxygen. There are more silicates than all other minerals put together.The mica on the left is a member of this group. Oxides Oxides form from the combination of a metal with oxygen. This group ranges from dull ores like bauxite to gems like rubies and sapphires. The magnetite pictured to the left is a member of this group. 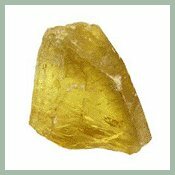 Sulfides Sulfides are made of compounds of sulfur usually with a metal. They tend to be heavy and brittle. 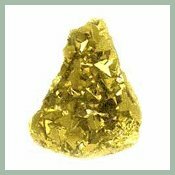 Several important metal ores come from this group like the pyrite pictured here that is an iron ore.
Slufates are made of compounds of sulfur combined with metals and oxygen. 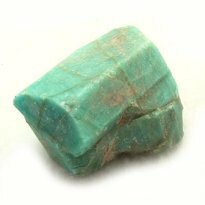 It is a large group of minerals that tend to be soft, and translucent like this barite. Halides form from halogen elements like chlorine, bromine, fluorine, and iodine combined with metallic elements. They are very soft and easily dissolved in water. 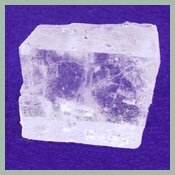 Halite is a well known example of this group. Its chemical formula is NaCl or sodium chloride commonly known as table salt. 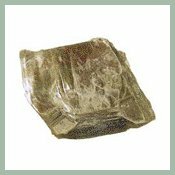 Carbonates are a group of minerals made of carbon, oxygen, and a metallic element. 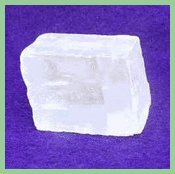 This calcite known as calcium carbonate is the most common of the carbonate group. Phosphates are not as common in occurrence as the other families of minerals. They are often formed when other minerals are broken down by weathering. They are often brightly colored. 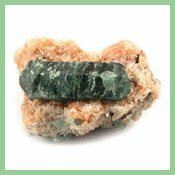 Mineraloid is the term used for those substances that do not fit neatly into one of these eight classes. 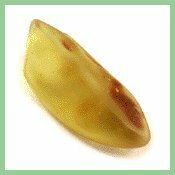 Opal, jet, amber, and mother of pearl all belong to the mineraloids. Using this mineral classification system not only helps to organize the thousands of known minerals but it also helps us understand mineral formation.